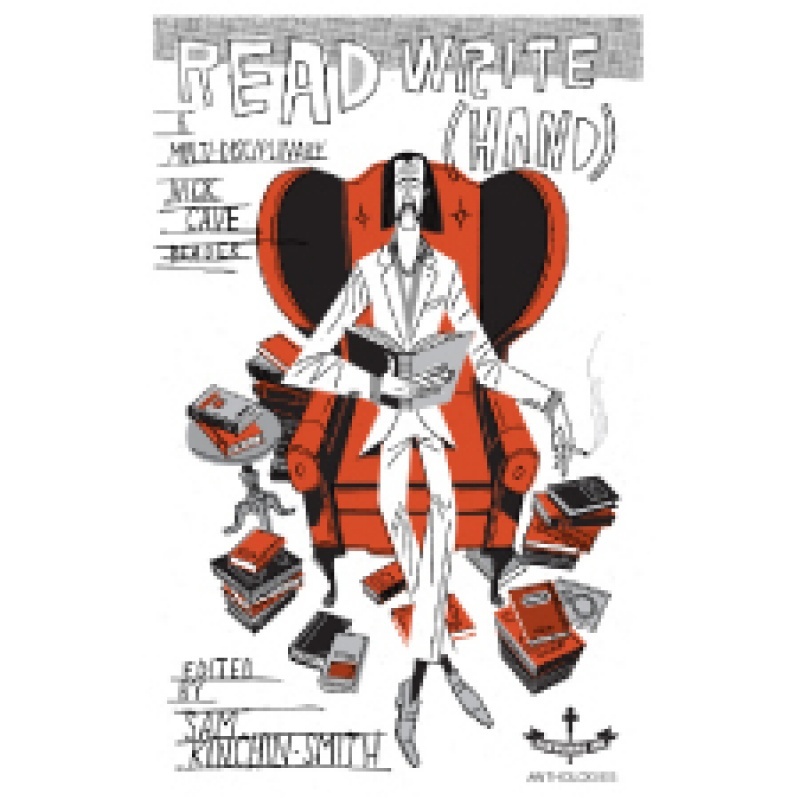 Read Write [Hand]: A multi-disciplinary Nick Cave reader is a provocative new e-collection of illustrated essays, accompanied by illustrative online mixtapes, which interrogates Nick Cave’s literary undertones and emphases, false-starts and fixations, achievements and overall credentials. Taking as its starting-point the notion that his work – as both songwriter and Writer – represents an extraordinarily rich nub of musical-literary intersection, this unique volume represents an attempt to explore Cave’s interdisciplinarity via its own multidisciplinarity. Featuring essays by Robert Brokenmouth and Prof. Nick Groom, poetry by Roddy Lumsden and John Clegg, cover artwork by Steve Wacksman and a new version of Cave’s ‘Bring It On’ by Cypress Grove & the Signifiers. Sam Kinchin-Smith is Silkworms Ink’s music and non-fiction editor. CLICK HERE to find out more about the book, and access some free content, on our unique RW[H] microsite.